Designious have over 5000 stock graphics in their huge library of vector packs, brushes and fonts. 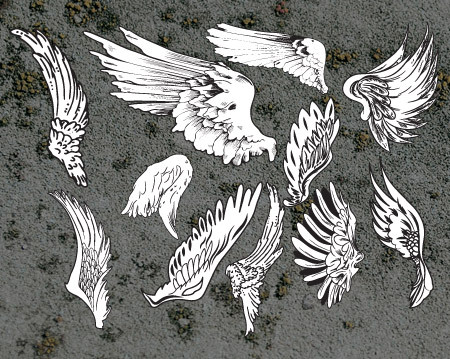 This particular pack from their Wings collection features 10 highly detailed illustrated vectors for use in your designs. Retailing at $10, premium members can download the pack for free as part of their Access All Areas membership. 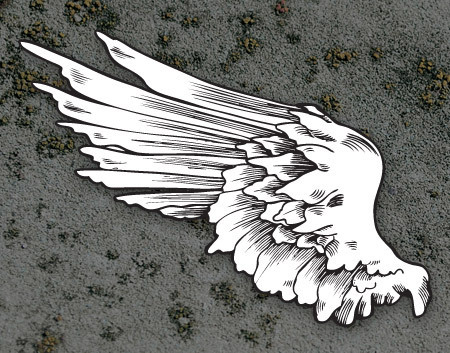 This awesome Wings vector pack contains a mix of highly detailed drawings, each using a different illustrative style. 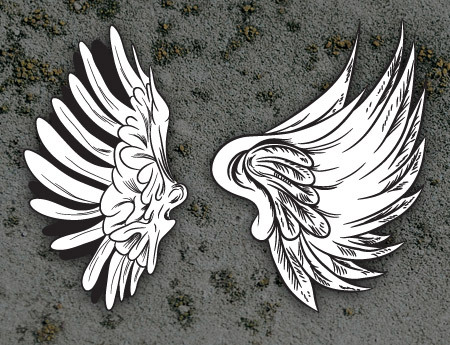 These wings are perfect for mixing with skulls for some dark tee designs, combining with shields and scrolls to emblems or maybe for use in some cool tattoo artwork. Merhaba arkadaşlar volkan konak dinle blogumuza sizleride bekleriz unutmayın ki daima hatırlanacaksınız.Tamamı arkadaşlar şimdilik benden bu kadar hadi bakalım koşun koşun bedava yaptık.